Read our article on how Crime Prevention Through Environmental Design utilizes landscape plants to combat crime. We specialize in Crime Prevention Through Environmental Design CPTED training, and CPTED based property crime prevention surveys. Our CPTED training can be tailored to your individual needs. Whether you are a private individual, business or municipality, we will bring CPTED training to you, or make all the necessary arrangements to train you in the concepts of Crime Prevention Through Environmental Design at one of our scheduled CPTED training seminars. Crime Prevention Through Environmental Design, or CPTED is the proper design and effective use of a built environment, which can lead to a reduction in the fear and incidence of crime. There are reasons why crime occurs at a particular location over and over again. The environment likely contributes to the crime rate. CPTED addresses this by taking away the opportunity for crime, resulting in a reduction in the incidence of crime. It is smart planning to anticipate potential crime issues and design new developments in such a way where the opportunity for crime is reduced, resulting in more livable and thriving cities. If you need an expert to review new construction plans or plans to renovate an existing property, we are available to join your team and help direct you to a safer and more user friendly environment. We have assisted on hundreds of projects ranging from residential neighborhoods to large scale commercial developments. We have worked on park projects, mass transit, goverment properties, public and private schools, as well as international projects. We have extensive experience in the private and public sector of crime prevention and designing safer communities. We have expertise in criminology and the reasons crime occurs. It is critical to have a crime prevention specialist on your project team to ensure that your project meets the standards of safety and security. Call or email us for a free crime prevention consultation. Even if you have been attended another "Basic CPTED" class, you will benefit from attending our Level I CPTED Seminar. Our instructors work in the field of CPTED on a daily basis and bring practical knowledge and real-life examples of CPTED uses to the classroom. There is much more to safety and security than locks, alarms and security cameras. CPTED security training principles weighs heavily the importance of the feeling of safety and security. Perception is reality. The fear of crime is quite often, as devastating as crime itself and law-abiding people will avoid areas which feel unsafe. This leads to an even higher risk to those who do go there. Police agencies around the world are utilizing Crime Prevention Through Environmental Design principles to make communities safer. Private businesses who incorporate CPTED guidelines and principals into the design of their property and physical structures have found that it results in a more user-friendly place for employees and customers. CPTED can reduce premise liability. CPTED changes the way people feel about their environment. Our CPTED security consultants will meet with you and develop a comprehensive CPTED strategy and provide the necessary CPTED training to reduce the fear and incidence of crime at your property. "High quality instruction throughout the entire training course." "Very interesting and effective crime prevention ideas." 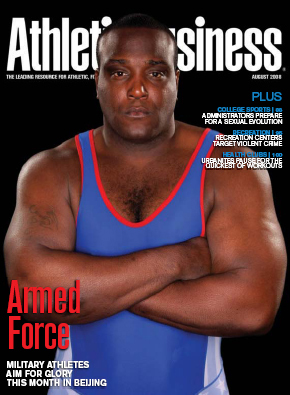 "The training was very thorough and understandable." "Very useful for my profession." Contact us to schedule a free consultation and custom training needs assessment. It is important to consider all options when faced with a problem property with long-standing crime and quality of life challenges. Too many times, owners and authorities place "band aids" on the problem and only experience short term results. Crime Prevention Through Environmental Design approaches the problem through a comprehensive analysis and strategy designed to provide long-term self sustaining solutions. We at CPTED Security Consultants have extensive experience in the area of property assessments and smart security design. We have conducted hundreds of property assessments which have resulted in a better quality of life and less calls for police service. We are involved in team approach projects on a daily basis for both existing and new construction projects. Contact us for a free consultation regarding your existing property or new development security design assessment. Preventing crime is not solely the job of locks on doors or security cameras scanning entranceways. The makeup of a physical environment can influence where crimes. ASSA ABLOY Future Lab a leader in global solutions in the area of integration and mechanical and electronic security solutions featured CPTED Security in their Crime Prevention feature article. CPTED Security co-hosted the international gathering of security professionals to discuss and develop solutions to graffiti problems faced throughout the world. 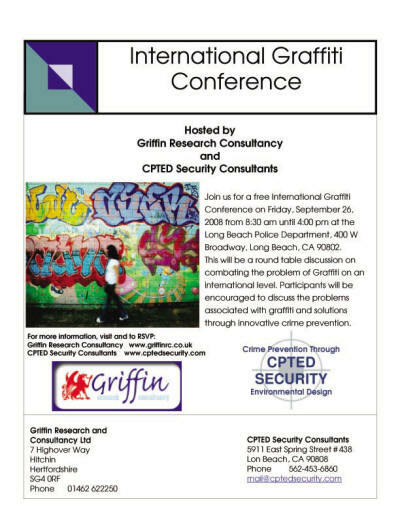 This was a FREE conference where security professionals from around the world met and shared ideas on how to combat graffiti by Crime Prevention Through Environmental Design. Fifteen Group Land & Development LLC Unveils Vision For Model Community in East Los Angeles. The plan calls for redeveloping the 70-acre site to include 4,400 residential units, 300,000 square feet of retail, office, and commercial space as well as nine acres of publicly accessible open space. Construction could commence as early as 2010 and take up to 10 years to complete the $2 billion project. 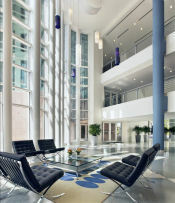 CPTED Security Consultants were part of the design team with security design review responsibilities for this project.